LIVE UNFORGETTABLE EXPERIENCES IN THE BEST DESTINATION! The beautiful and historic Dimitsana is amphitheatrically built at an altitude of 960 – 1.080m., οn the ruins of the great ancient city Tefthis above the gorge of Lousios river. Three km. from Stemnitsa on the road to Greek , we will see the sign “for Stable Block & Mews”. Turn right to the dirt road and 900 meters . We see an exemplary space, crafted with love for horse riding lessons and equestrian walks. 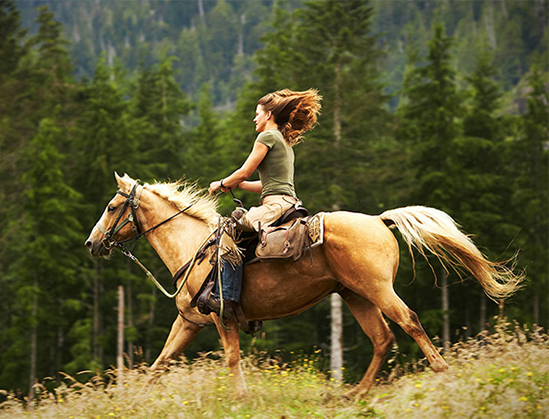 Horses and riding are identical with true friendship, speed and beauty, but above all with freedom. The use of the horse as a mean of transport, as an assistant in agricultural work or the war is lost in the mists of time. The horse, with its exceptional sense and incredible wit, has always been a faithful companion of man and this relationship remains strong throughout the years. Riding as a sport is known from ancient times, while the use of the horse to sports events first appeared in ancient Greece with the chariot races back in 680 BC, while from 648 BC chariot races were two of the ten events of the Olympic Games. Whether as a sport or as a hobby, or simply for experience, riding is exciting and cannot be substituted by any other experience, offering great chills of excitement. The bike is the best way to enjoy a route. 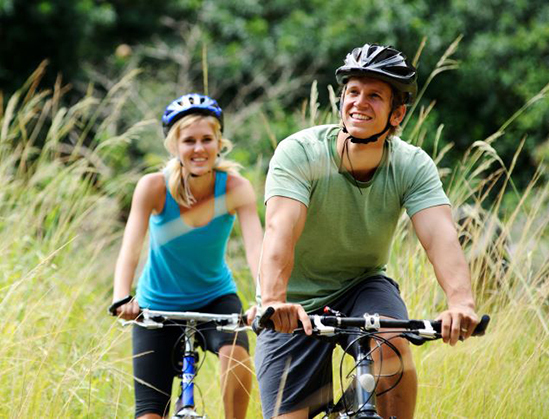 The bike enthusiasts are also great nature lovers. Arcadia with its unique nature offers great excitement. To begin with, the same in Tripoli, with well laid-out streets, its squares and the urban park of St George are just perfect for a relaxed cycle for the whole family or a group of friends who know how to enjoy life. Further out of Tripoli, the large network of mountain cycling routes starts. The changing landscape, the levels of difficulties, the unusual villages, all await the two-wheeled tourist in reward for their noble efforts. From Vitina in Karkalou towards Lousio and Dimitsana and as far as the big city, the whole of Arcadia is a great ride with the wind on your face. The Route from Dimitsana to Mainalo ( Ski ) is a 15 km course. Firs, which ends at Mainalon Ski Centre. WINTER SKI SPOR- For lovers of winter sports attraction is Mainalon Ski Resort, located in Ostrakina, the highest peak of Mainalon. It has 4 ground car lifts: Chelona- Baby lift (100 meters), Aries (160 meters), Arcturus (380 meters) and Eagle (600 meters). Incorporated and 8 pistes covering all levels of difficulty. The ski resort is ideal for various games in the snow. Specifically there is a special park for snowmobiles and cross- shaped snowtubes. Finally, the Centre has and plastic racetrack , where there is sufficient snow. 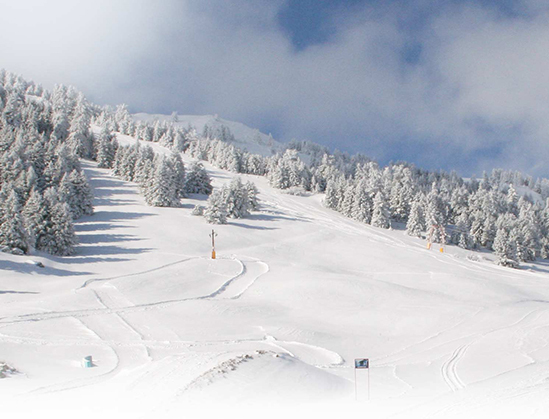 The Mainalo ski center is situated in the location Ostrakina of the homonymous mountain, approximately 30 kilometres from Tripolis and 162 kilometres from Athens. The roads and consequently the access to the ski centre are easy, making it a very popular destination. It isn’t one of the biggest ski centres. The rivers Ladon and Alpheus attract every year thousands of sports enthusiasts, individually or organized. For those who prefer organized trips there are alternative tourism offices (based in Greek village, Daphne Lake Ladon etc.) that offer many activities such canoe- kayak, rafting, and even archery, cycling (mountain bike) etc. These two rivers, Alfeios and its tributary Lousios, flow along a continuously changing landscape in a breathtaking scenery of stunning natural beauty. The activities organized by various associations and clubs aim to bring visitors into close contact with the unique beauty of this region, also combining sports and recreation. 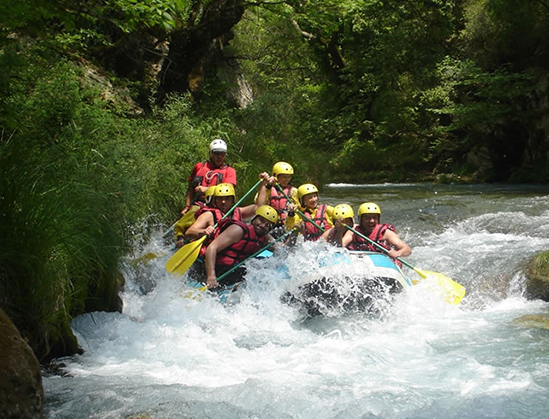 Rafting is a very pleasant way to explore the region, regardless of your familiarity with the sport, since there are routes for every level; from beginners to highly experienced rafters. The routes normally take approximately three to four hours and pass through gorges and natural tunnels, formed by trees, creating a stunning backdrop. In Gortynia there is much one can do hiking or mountaineering. The place offers a unique experience close to nature, from simple walks in idyllic spots, up and climbing with difficult ascents. The mountains of Mainalo there are many interesting hiking trails. Vamvakou – Mountain shelter of Parnon– Megali Tourla–Malevi Monastery. The marked path begins from Vamvakou, at an elevation of 960 meters, on the slopes of mount Parnon, and after a two hour walk, it leads to the mountain shelter of Parnon, at an elevation of 1450 meters. From the shelter, the path crosses the forest road and meets the marked route that leads to the summit of Megali Tourla, the highest summit of mount Parnon, 1935 meters above sea level. The route initially goes down, passes by a spring and a gorge and then climbs until the end of the forest road. It meets the path that leads to Kampos plateau and then after a half hour walk to the top of the mountain. 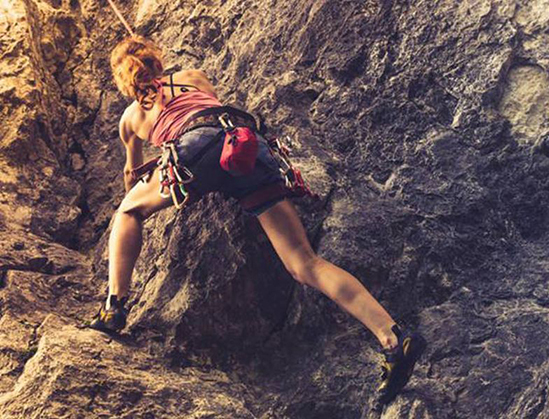 The route is 9.5 kilometers long and the climbing lasts 4 hours in total.